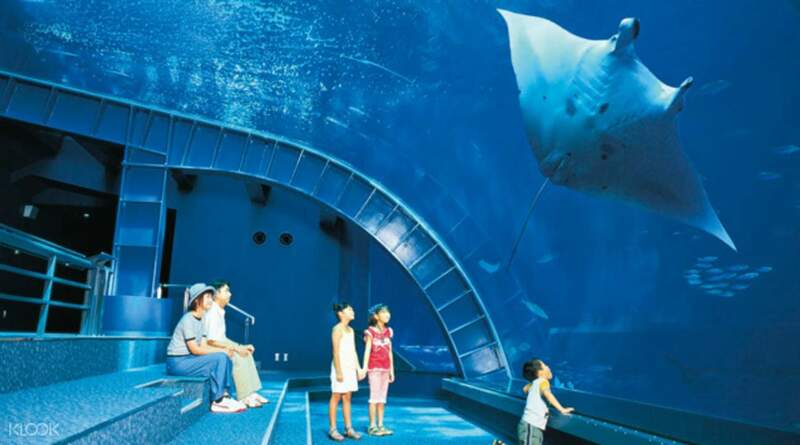 Okinawa's wealth of nature, history and culture can now be experienced at the amazing Okinawa Churaumi Aquarium. 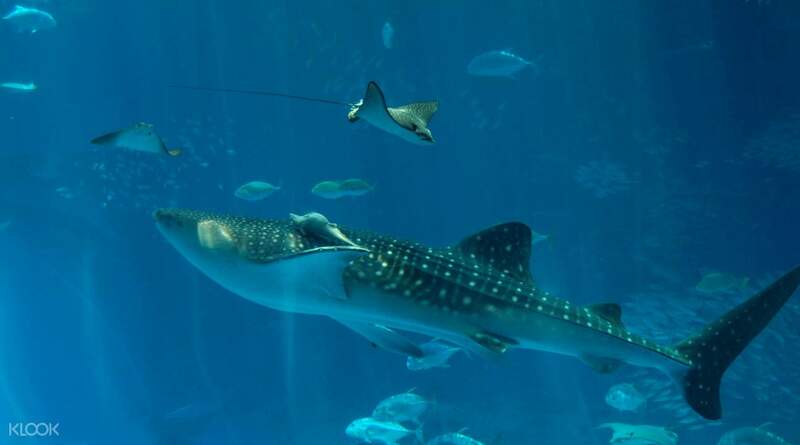 Take the kids to see a huge variety of underwater creatures including manta rays, whale sharks, seahorses and more. 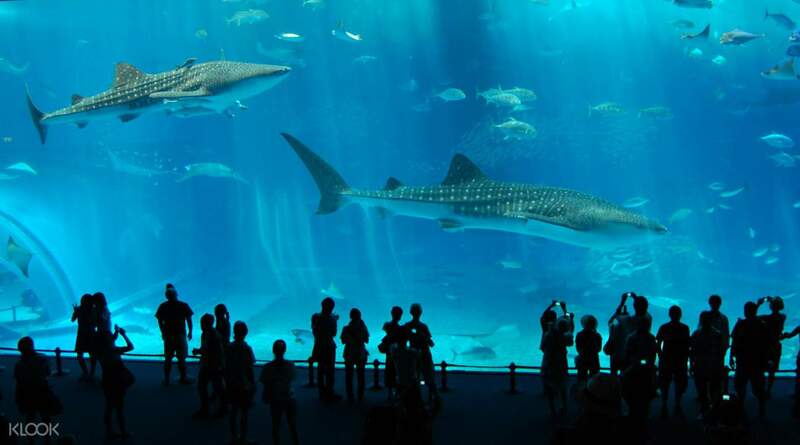 At the Aquarium discover an intriguing world of marine life found in and around Okinawa displayed before you in some of the most high tech aquarium facilities in Japan. With its enormous capacity, the gigantic Kuroshio Sea Tank is where you can spot the largest fish in the world - the mighty whale shark, as well as the world's first successfully bred-in-captivity manta ray. An awe-inspiring experience awaits as you unfold these endless wonders of our amazing blue planet! 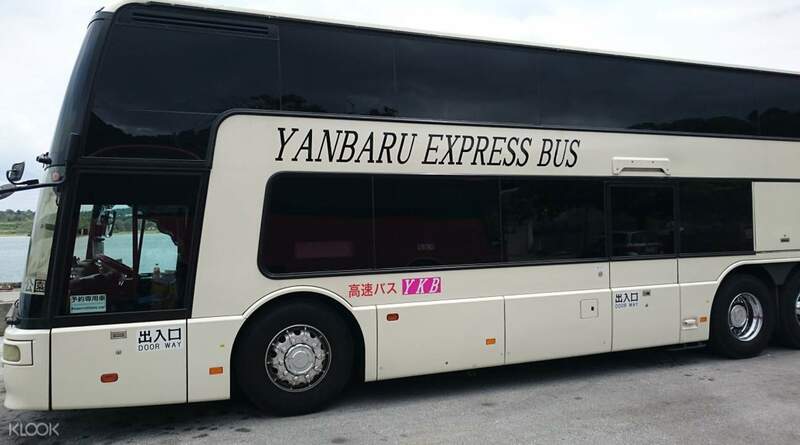 For extra convenience, also book the Yanbaru Express Bus, the only direct bus from downtown Naha to Okinawa Churaumi Aquarium. Check this guide for a detailed list of activities, facilities, shows, and more inside the aquarium! Exchanged the tickets at HIS counter at the airport.. the staffs wasn’t in the best of mood... but after we got the tickets, the entry at the aquarium was a breeze.. just inserted the tickets at the auto gate and voila!! Exchanged the tickets at HIS counter at the airport.. the staffs wasn’t in the best of mood... but after we got the tickets, the entry at the aquarium was a breeze.. just inserted the tickets at the auto gate and voila!! collection of ticket is at the town area. near kokusaidori area. great shopping district. Best aquarium ever! beautiful and magnificent! if you're in Okinawa, this must be a go to place! Rent a car and explore Okinawa, its easy to drive and Google maps works excellently! collection of ticket is at the town area. near kokusaidori area. great shopping district. Best aquarium ever! beautiful and magnificent! if you're in Okinawa, this must be a go to place! Rent a car and explore Okinawa, its easy to drive and Google maps works excellently! it's worthwhile to visit although the distance have to take 1 & half hr to reach! nice experience !! The dolphins show is marvellous! Highly recommended! it's worthwhile to visit although the distance have to take 1 & half hr to reach! nice experience !! The dolphins show is marvellous! Highly recommended! 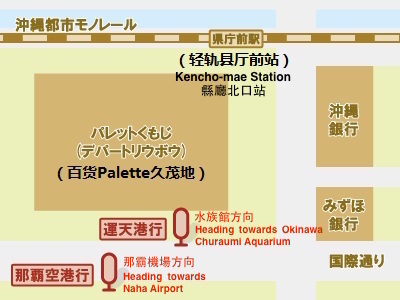 Even though it takes about 2 hours to go from Naha city to Okinawa Churaumi Aquarium, but it is worthwhile to go. I have never seen so many unknown sea animals before. it is really fascinating. 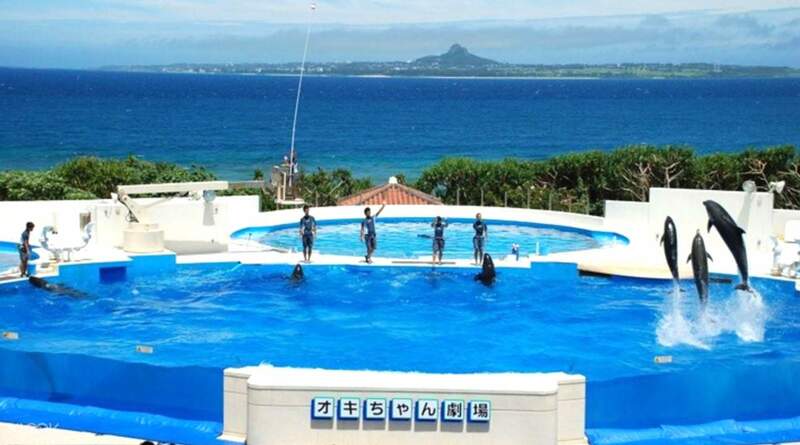 Even though it takes about 2 hours to go from Naha city to Okinawa Churaumi Aquarium, but it is worthwhile to go. I have never seen so many unknown sea animals before. it is really fascinating. Prettiest Aquarium i have seen. A must to visit in Okinawa. 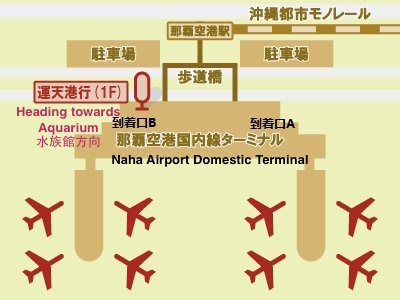 Collection of ticket at Naha domestic airport was easy. Prettiest Aquarium i have seen. A must to visit in Okinawa. Collection of ticket at Naha domestic airport was easy. Very fast process to exchange voucher for Aquarium tickets at LAOX. Do remember to explore the Ocean Park as well while you are visiting the aquarium. Very fast process to exchange voucher for Aquarium tickets at LAOX. Do remember to explore the Ocean Park as well while you are visiting the aquarium. The Aquarium is really big with multiple buildings having different kinds of sea animals. It also have small beach having a good sea view. We also went to watch the whale show. Strongly suggest the show. Please beware of the starting time of the show. It will be full all time. The Aquarium is really big with multiple buildings having different kinds of sea animals. It also have small beach having a good sea view. We also went to watch the whale show. Strongly suggest the show. Please beware of the starting time of the show. It will be full all time. Instructions for ticket collection is clearly mentioned. Great experience but crowded! Try going early and don’t miss the Dolphin show which is outside the aquarium. Stayed for a night at Hotel Mahania Wellness resort which is 5mins drive away from hotel.. Instructions for ticket collection is clearly mentioned. Great experience but crowded! Try going early and don’t miss the Dolphin show which is outside the aquarium. Stayed for a night at Hotel Mahania Wellness resort which is 5mins drive away from hotel..